From May, Phuket Immigration has enforced a new 'mandatory' form for foreigners to complete. The immigration form must be filled out accurately or the foreigner will be punished via the Penal Code. 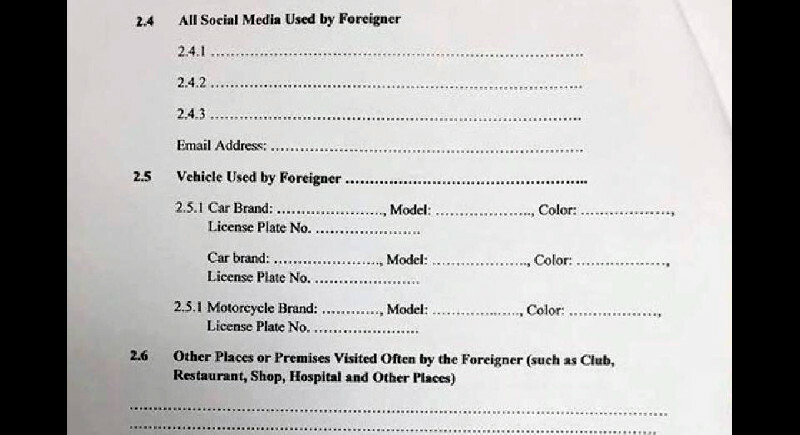 The form asks for many details from the foreigner including; social media accounts, email addresses, and even bank accounts. It asks for details of parents and other family members. 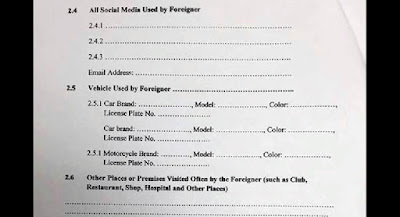 It asks for details of transport of the foreigner, and also the places that they will frequent whilst holidaying in Thailand. This form is a 3 page form. On each page it states that 'Providing false information to an officer, shall be punished under the Penal Code. If you are planning just a short holiday then this form is not mandatory. Only those that are applying for Visa extensions need to fill this out, whether it be work, longer vacation, or even for retirement. There are optional parts on the form and required parts. Under the optional parts comes the social media accounts, and under the required part is the bank details. Is this really the right way? Foreigners who stay in Thailand for a long period of time such as pensioners, would have already provided things such as bank details, as you have to show proof of how much money you have via a bank statement when applying for certain visas. This is all abit suprising as this March saw a technical error if one of their servers which then led to thousands of foreigners details being leaked online. How long will this last? Will this work? Who knows? Lets wait and see.